When a new version comes out you will see a update notification message on every Quix page. You can update Quix to latest version by clicking the Update button. 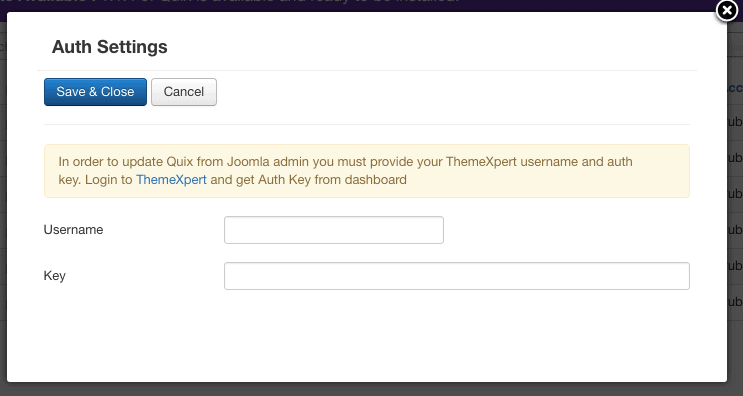 But, you need to provide ThemeXpert username and autk key to the Quix Auth Settings page. Head over to ThemeXpert members dashboard page and click Generate new key button if you haven't already. Go to Quix > Pages menu and click yellow Authenticate button. 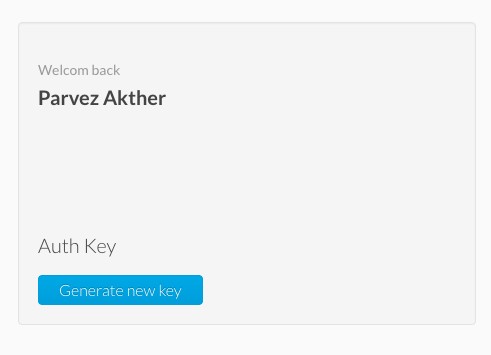 Input your ThemeXpert username and Auth Key on the modal window and press Save & Close button.